I sometimes work on model portfolios with both aspiring and experienced models. It gives me a great feeling to know I am in some way helping someone else achieve their dreams. Natalie expressed interest in working with me after our first shoot together at Brunet Park. As I have been looking for a model with Natalie’s features and natural beauty, she would be perfect for a beach shoot. It just so happens that Natalie asked if we could do a beach shoot, so we set up a date and planned to meet at the Marsh Boardwalk at Point Pelee National Park. My first shoot with Natalie went well. On that shoot, I forgot my portable power supply that is used to power my Alien Bees studio strobes. This time I brought my Alien Bees B1600 and 22″ white beauty dish. I like the face of my subject or model to be the brightest part of the image. I also wanted to reduce the apparent contrast by using the strobe as fill light during situations where my model was back or side lit. 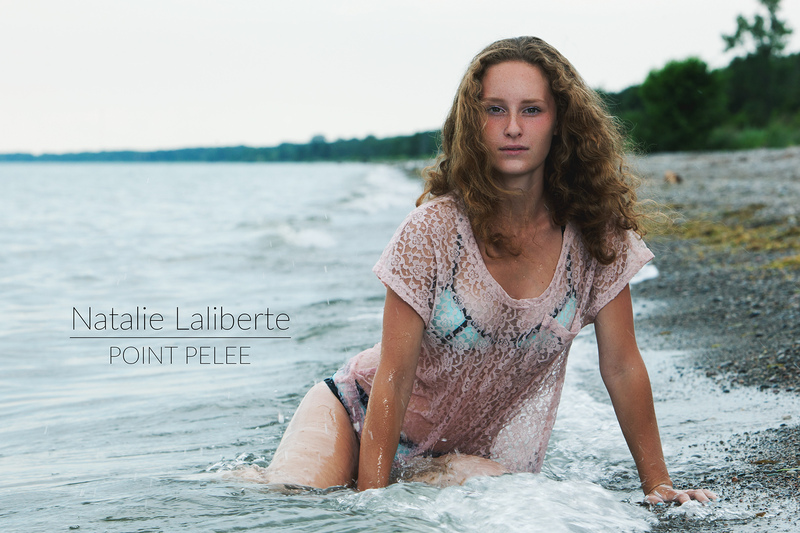 This entry was posted in Model Portfolios, On-location, Photoshoots, Portraits, Swimwear, Women and tagged bikini, model, natalie, photoshoots, point pelee, swimwear.